HotRod Processing is one of the leading providers of credit and debit card processing in the automotive service and motorsports industries. Our business, which is based in Bethlehem, PA, enables merchants to accept payments for their merchandise and services. We assist our clients in finding and implementing the best payment processing solutions for their businesses. HotRod Processing will conduct a thorough financial analysis of your merchant statement and will provide a written guaranteed savings proposal. If you decide to move forward with HotRod Processing, we ensure your account is set-up correctly and you are paying the lowest fees to process payments. We show merchants how to identify and minimize downgraded transactions, which can dramatically lower the total costs of processing credit cards, turning profit leaks into cash flow. Additionally, we setup every merchant to automatically take advantage of any discount program offered by the card networks to their industry type. We encourage our merchants to leave their existing merchant accounts open until they are completely satisfied and have experienced the savings promised. At the end of their first month processing with us, we suggest that they contact us to compare the statements and once the savings are confirmed they can cancel their previous processing account. HotRod Processing does not charge termination fees, hence if a merchant is unsatisfied for any reason they can return to their previous processor without any risk of loss. We want to ensure our merchants are keeping the hard-earned dollars they deserve. We are committed to providing our clientele with the highest standards of customer service and technical support. When you choose HotRod Processing, you will have year-round 24/7 access to our dedicated customer support team, who will do whatever it takes to achieve customer satisfaction. Our team will feel like a part of your team! Our objective is to offer our merchants a level of professionalism and customer service that no other payment provider can equal. Countless companies in the Automotive Service and Motorsports industries prefer HotRod Processing because we are associated with numerous banks and processors and have access to various interfaces, management operating systems and payment processing platforms. We utilize our expertise in hardware and software applications to provide our clients with cost-effective processing solutions. Moreover, we can personalize our credit card processing services to fit any type of merchant. HotRod Processing offers the most advanced online reporting system to date. Our merchants are capable of customizing, searching and saving a multitude of reports that can be exported into Excel at any time. Additionally, merchants have total access to view their statements, deposits, batch details, chargeback disputes and transaction history. Securely store sensitive payment information and customer data for efficient, repeatable transactions. By utilizing tokenization, all necessary payment information is stored adhering to PCI-DSS, keeping our merchant's systems out of scope for PCI Compliance, consequently reducing the cost to our merchants to become and remain PCI compliant. Our fraud prevention tool enables merchants to detect, evaluate, avoid, and prevent credit card fraud in their Merchant account. You can customize rules and filters based on specific business or industry fraud patterns in order to identify and stop potential fraud. Credit cards can be identified and filtered out with criteria such as country, IP address, street address, or transaction amount. Chargebacks are defined as a demand to return a sale amount to a cardholder for a fraudulent or disputed transaction. We provide chargeback prevention and chargeback management tools for all types of merchants. Our goal is to provide merchants with the information required to mitigate and reverse as many chargebacks as possible. 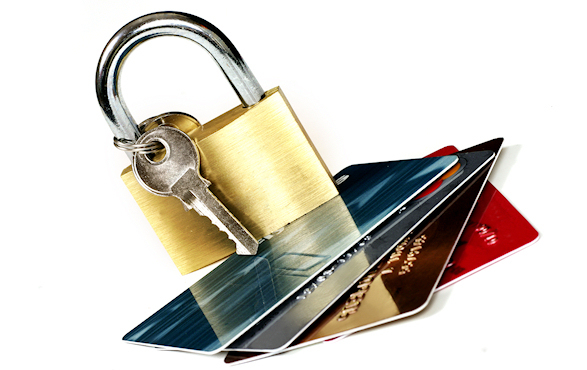 We ensure our merchants are meeting the latest PCI-DSS requirements. We work with numerous cutting-edge and reputable partners to consistently offer our merchants the most secure and reliable processing solutions. Some of the security tools we offer to our merchants are listed to the left. HotRod Processing is a registered ISO of Citizen's Bank, N.A.